If you are looking to save money on your home heating bills this winter, then we have a furnace for you. 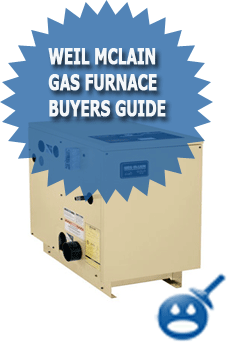 Weil McLain has a huge inventory of gas-fired furnaces that would not only save you money in the winter months but it would also save you money on the purchase. With the Weil McLain 90% AFUE Gas Furnace you are getting a Energy Star Rated Furnace that has been designed with saving money on your heating and electric bills this winter and many winters to come. This energy efficient furnace has 7 different models in the series. The heating input ranges from 54,000 BTU’s to 126,000 BTU’s. The heating output ranges from 49,300 to 115,000 BTU’s. These gas-fired furnaces are available in 1/3 horsepower to 3/4 horsepower and they are blower direct drive motors. Each furnace has a self diagnosis control system that allow the homeowner to see how the furnace is working and if a problem starts to arise then you can see where the problem is before it becomes a larger one. This series is solely an indoor installation and it is not at all recommended for mobile homes or any outdoor installs. Before you install this gas fired furnace you should follow and meet all of the ventilations and air requirements that the manufacturers recommends, this is done to get you the best operation from your furnace. This furnace can be a Direct Vent or a Non Direct venting System, depending on how you choose to install it. 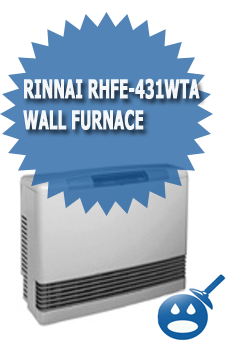 These furnaces offer great operation, maximum efficiency and since they are Energy Star rated they will save you money. This Weil McLain 80% AFUE Gas Furnace Series is one of the most popular in this series from Weil McLain. When you purchase this furnace you will be getting a high efficiency furnace with a weldless tubular heat exchanger that offers the very best in heating your home properly and not letting any heat escape from the unit. This gas furnace series offers an impressive 16 models in all. The input heating capacity on these furnaces range from 40,000 BTU’s to 140,000 BTU’s and the output is 32,000 BTU’s to 113,800 BTU’s. All of these furnaces have a blower direct drive motor with horsepower that ranges from 1/4 to 3/4. When you install the 80% AFUE gas furnace you will have a choice of Up Flow, Down Flow and Horizontal choices. This gas furnace can be installed in the attic or basement depending on your preference. Before you make that choice make sure that you read the ventilation and the clearance recommended by the manufacturer. There are two types of venting for an Up Flow or Down Flow installation; these are the Single Wall Venting and the Type B1 Venting. You will need a clearance of 6″ with the Single Wall Venting and a 1″ clearance from the top and 6″ from the front. If you choose Type B1 Venting then you will need a 1″ top clearance and a 2″ front clearance. It is so important to make sure that you do the installation correctly, especially when you are working with gas. 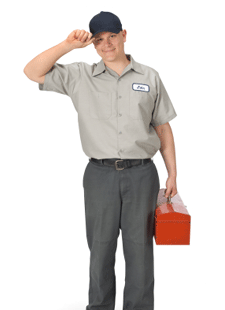 Have a professional or qualified technician perform your installation, you will have the maximum operation as well as keep your warranty in tact. Looking for something a bit more energy efficient? Weil McLain has 90% energy efficiency and it is an up flow design furnace. This heating system works well as a residential and a light commercial application. This gas-fired furnace has a high temperature limit switch that comes installed on the unit. This will shut down the furnace when the temperature exceeds the normal limits. This will save you money on repairs and overheating. This series also has a self-diagnosing control system. This allows the system to show the operator how the furnace is operating and if there is a problem the control system will alert you to the problem. On this heat exchanger you will find a weldless tubular heat exchanger for maximum heating operation. 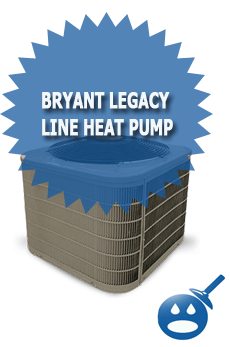 There is a 20-year warranty on the heat exchanger and 5 year limited warranty on all parts of the furnace. This gas furnace is available in natural gas or liquid propane if you live in an area where natural gas is not an option. The Input Btu’s range from 54,000 to 126,000 Btu’s. These furnaces can be installed in an alcove attic, basement, garage or even a closet in the basement. They are compact and won’t take up much space. The return air temperature is rated between 55 and 80 degrees Fahrenheit. There are higher and lower temps available but you run the risk of shortening the finances life span this way. Weil McLain has so many great products that are not limited to gas fired furnaces. If you prefer gas fired heating systems like million of homeowners do, then the Weil McLain inventory will have something for you. If you did not find what you like with these three models, check out the others. When you choose Weil McLain you are getting a high efficiency furnace with a money saving guarantee since some of these are Energy Star Rated, you could also be eligible for the Federal tax Credit up to $ 1500 or the Appliance Stimulus Rebate from $ 50 to $ 200.
on regular basis to get updated from newest information.